Bandai Namco is launching My Hero One’s Justice, a new fighting game based on the wildly popular Shonen Jump manga and anime series, this Friday. While the game comes out here on October 26, 2018, it released in Japan earlier this summer, and has had some free DLC support since it launched. Today, Bandai Namco sent out a press release reconfirming the DLC, as well as announcing all of it will be out on launch day. First, of course, is the My Hero One’s Justice preorder bonus, the fiery Endeavor. He is the “number one” hero in the series, albeit with a dark past. That said, he does have the highest number of resolved cases, and is one of the most powerful characters in the series. If you don’t preorder the game, he will be available for purchase, and he will also have missions available in the game after he’s unlocked. Next is “Shoot Style” Deku, who is an alternative version of My Hero Academia protagonist Deku, or Izuku Midoriya. This alternative is based on a change in his fight style after a certain part of the series, so not only is his design slightly different, but so is his moveset. 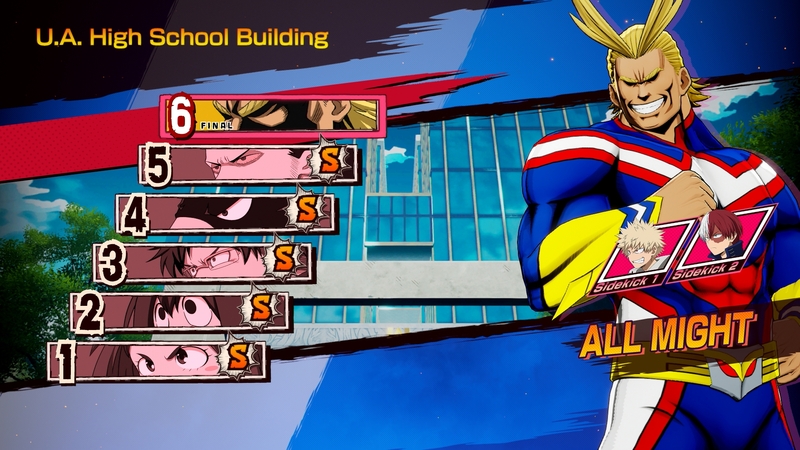 Finally, when My Hero One’s Justice launches on Friday, a day one update will also unlock an arcade mode, which was a somewhat recent addition to the Japanese version. Arcade mode lets players run through a tournament against CPU-controller opponents, and completing arcade mode with multiple characters will unlock rewards.